* A silver haired male with reflectively lusterous scaled wings walks up the stairs at the "Rusty Hoe". His heavy, armored footfalls stop in front of the ones gathered at the back of the room, he looks about inquisitivly for a moment and then settles on the woman with scars marking her face* "Hey darlin. I'm here for work." ((Ooc)) The only job thus far I have seen posted was by a PC, I'm wondering if perhaps we can't get something going here. Consider this Sergei Vostok's application, should you desire a pc to represent the guild, and when I am on, would be more than willing to award payments to newer adventurers and the like, for perfoming certain tasks. IE: Eradicate the Gibberings. I would also like the opportunity to try to form other groups for more difficult task and see this as a golden opportunity for those not in factions to become "freelancers" or "sellswords", while actually earning experience, rewards and engaging in some possibly meaningful RP. I apologize if this is not the place to post this, but I see work was put into it, and the idea kind of excites me. Often there are bounties put to place to kill dragons in many places -- in this case, you don't even need to raise a blade. 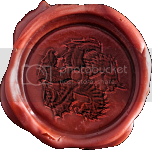 Anyone able to report the location of a Draconic lair of any kind they encounter while scouting the isle, or otherwise the Ruathym region, will be paid a sum of 150,000 sovereigns for the information -- delivered privately, through leaving a message for the Godclaw at Kampo's. Those whom post their findings publicly will unfortunately not be allowed a reward. The lair must not be abandoned nor have its occupant killed; and naturally, as these are creatures of territorial nature and the ability to paralyze the unprepared adventurer with fear, approach this job offering with caution, and seek to complete it with double the amount! A job I am looking for adventurers to fetch me a potent and magic mushroom called 'The Green Sporange'. This mushroom can be found in the Quagmire Swamps and fully grows once every few years. Be warned, it has various side-effects just by being close to it! Adventurers will be rewarded one of the best of my potions! // Starts in 10 mins from now! I seek adventurers aiding me in the search for missing companions. The destination of this search is the plane of shadows, I suggest to plan for the likely dangers of this plane accordingly. // This starts in an hour from now! We seek aid in finding some of our missing people on our island, Hale, south-west of Amia. I have hired a sailor in Wharftown docks to take volunteers to our home. Should the missing people be found, volunteers are to be rewarded handsomely. Strange disturbances in our graveyard continues! Please help us deal with this mess. I have hired a sailor in Wharftown docks to take volunteers to our home, Hale, an island south-west of Amia. Should this problem be solved, volunteers are to rewarded handsomely. // Starting 2 hours from this post. I put this in E-class but anyone can join. Arthur Kingsley is looking for seasoned adventurers to assist him in the search for a long missing associate. The mission will take place in Mulhorand, transport will be provided for.